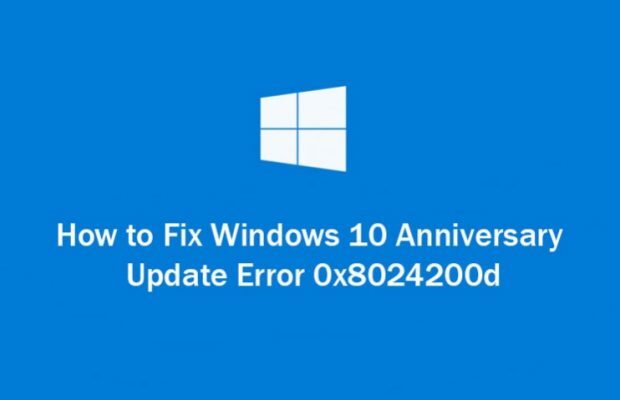 [Solved] How to Fix Windows 10 Update Error Code 0x8024200D? Are you unable to update your Windows system because of the error code 0x8024200D? If ‘YES’ then don’t worry, simply go through this blog and the Windows 10 update error code 0x8024200D will be fixed easily. This error message generally appears when the user tries to install and upgrade to a new build of Windows 10. This Windows error code 0x8024200d is not new to the Windows 10 Updates. The most common reason for this error message is the problem with the download and so that its files are damaged or missing. The update handler did not install the update because it needs to be downloaded again. It is the first solution because Windows update troubleshooter is the Microsoft’s official solution to deal with Windows 10 update error. Download and Run this troubleshooter from Microsoft’s official site. At last, you’ll get the message if the problem is fixed. Also Read: Guide to Fix Windows Unable to Complete the Format Error? Go to the System properties. Navigate to the System Protection tab, present on the bottom of the list, click on Create. 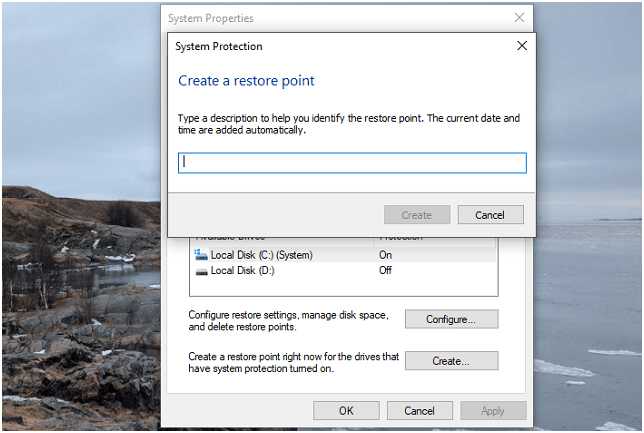 In the description section, enter a description and create a restore point. Right-click on the Start and open Device Manager. 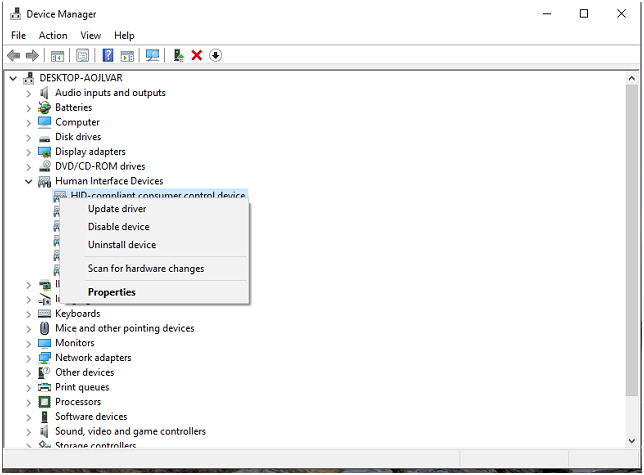 Remove all peripheral devices (excluding the mouse and the keyboard). Now, go to their related drivers and remove them one by one (sound, printer, light pen, scanner, webcam etc.). Reboot your system and try updating again. After updating, reinstall system drivers. Sometimes, having antivirus can prevent your system upgrading process. It is generally happening because of the internal confliction. Third party antivirus or antimalware program can accidentally delete or block some of the update files. Hence, it is recommended to remove third-party antivirus program and after it tries to upgrade your system. If you are facing any kind of update issues, then it becomes necessary to reset few processes. Along with, it is also suggested to rename/delete the folder with update installation files. Go to the command prompt with Admin rights. Now, run the following commands one by one by pressing ENTER key after each one. Now you need to erase the qmgr*.dat file, run the following command. This will delete qmgr*.dat file. Go to the System32 folder, and reregister the BITS file and Windows Update files. Again, execute the below given commands one by one be pressing Enter key. Now, run “netsh winsock reset” in the Command Prompt and to reset Winsock. Reset the Proxy, type in netsh winhttp reset proxy and press Enter Key. Now, you need to re-boot the services which were stopped firstly. Press restart button and keep pressing F4(this key may vary with your PC) and select Safe Mode. Now, navigate to the ‘C:\Windows\SoftwareDistribution\Download’. In this path downloaded update files are stored. Erase all the contents present in that folder. Restart your computer into normal mode. Go to the Settings > Update & security. Choose ‘Check for updates’and execute the update process again. You will see that your Windows will start downloading files again. Learn how to Fix Windows 10 Update Error Code 0x8024200D, follow the given solution one by one and make your PC error free. [Solved] How to fix Network Error 0x800704cf on Windows 10/8.1/8?